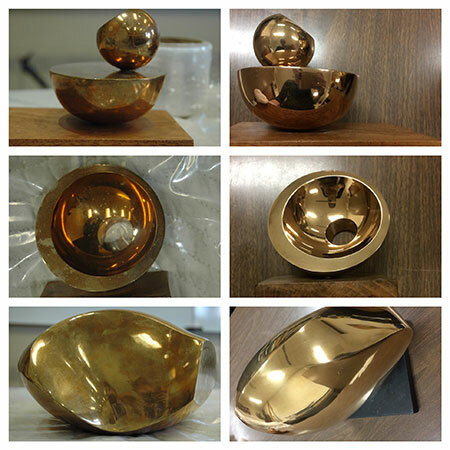 Check out the photos of the Jean Arp and Barbara Hepworth bronzes before and after the conservation work by Terri White from the Milwaukee Art Museum. 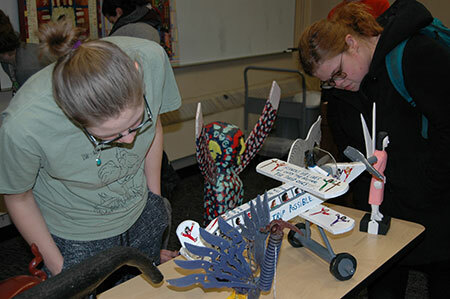 Milwaukee Art Museum Object Conservator, Terri White, visited the Department of Art History today to perform conservation on four sculptures in the UWM Art Collection. 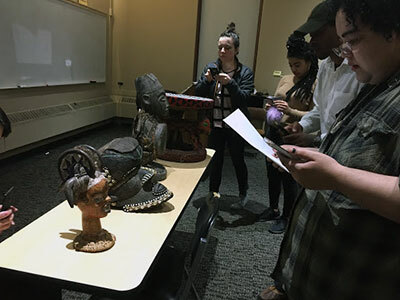 Students in Associate Lecturer David Pacifico’s ARTHIST 371: African Art compare UWM Art Collection objects from Nigeria’s Cross River region, Cameroon, and the Congo basin in order to detect and generalize about patterns in African art so as to prepare for their final paper. 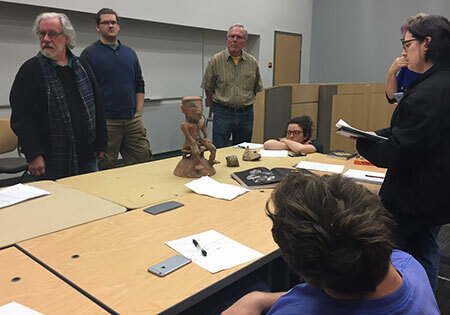 Students examine pre-Hispanic ceramic vessels from Colombia and Ecuador in ARTHIST 372: Art of the Incas and their Ancestors, taught by associate lecturer David Pacifico. 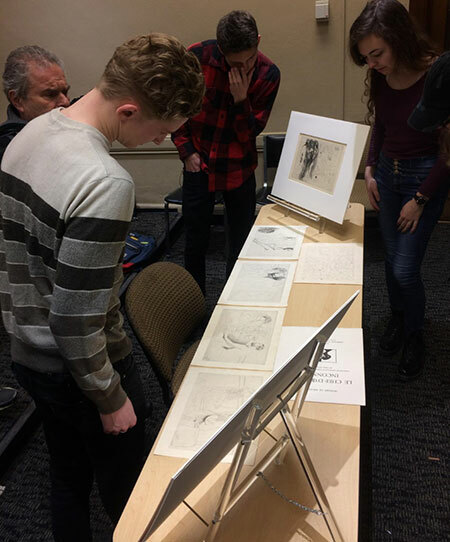 On Tuesday, March, 14, 2017, the UWM Art History Gallery hosted Art Exposé.